You can enjoy a nutrient dense, filling, and healthy meal without red meat or poultry. Meat can be a great source of iron, vitamin B and protein, but it’s becoming clear with more research and studies that meat, like with most foods, should be enjoyed in moderation. The USDA recommends 3.3 ounces of meat per day, which is about a deck of playing cards sizewise. How many of those do you eat in a day? Eating less meat and swapping it out with meatless alternatives has a lot of benefits, some that have larger effects outside your health and fitness goals. 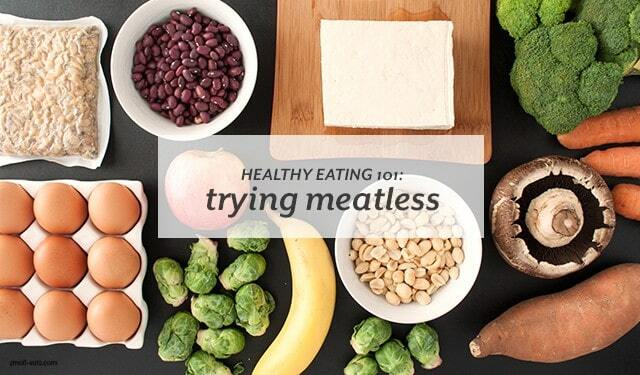 See what the benefits of eating less meat, meatless protein alternatives, and ways to feel full without meat on Azumio’s blog.